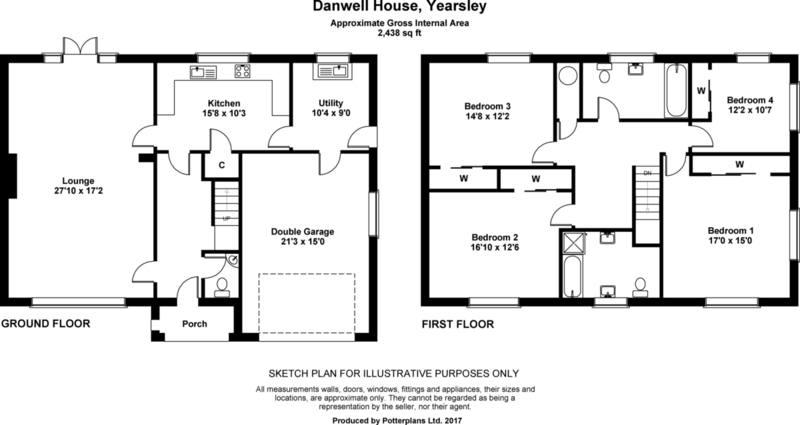 Spacious RECEPTION HALL, CLOAKROOM with coloured suite, corner wash hand basin, tiled splash and low suite WC. 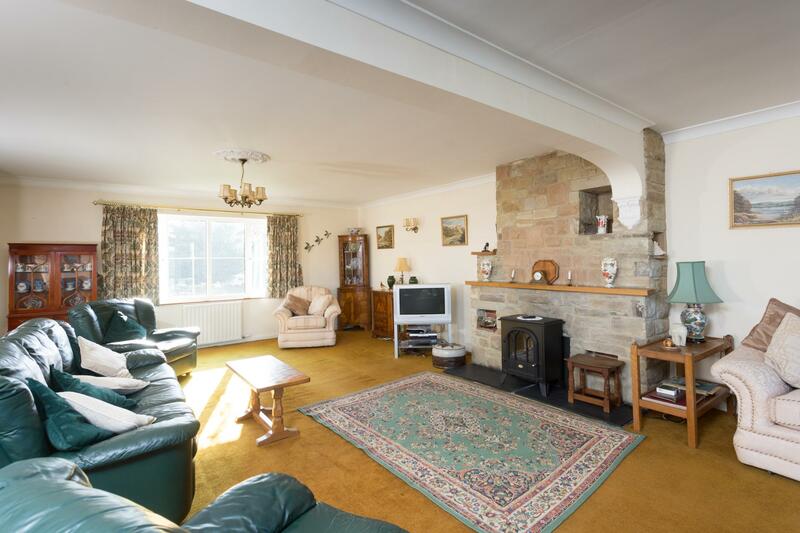 LOUNGE/DINING ROOM, a through room extending to 27'10 in length, having south facing landscaped gardens, feature stone fireplace with oak mantle, open grate and tiled hearth, archway, UPVC double glazed French doors open onto the stone flagged patio and gardens. 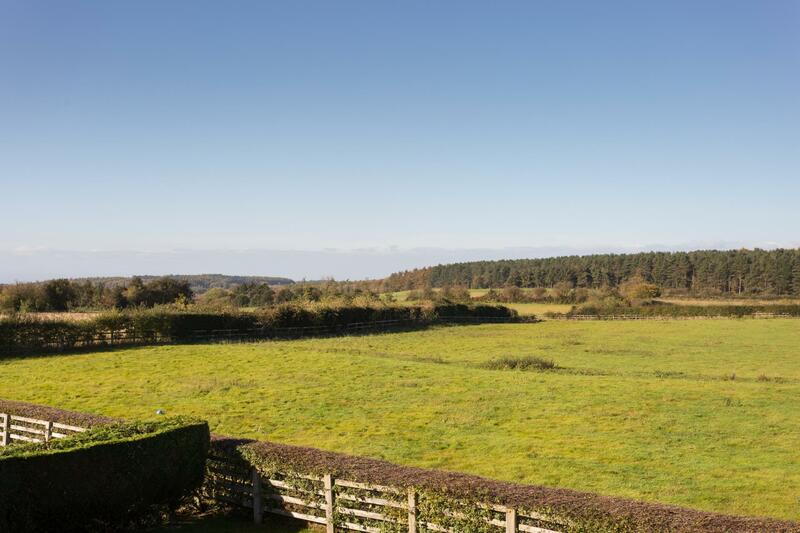 With delightful views over adjoining farmland towards woodland. 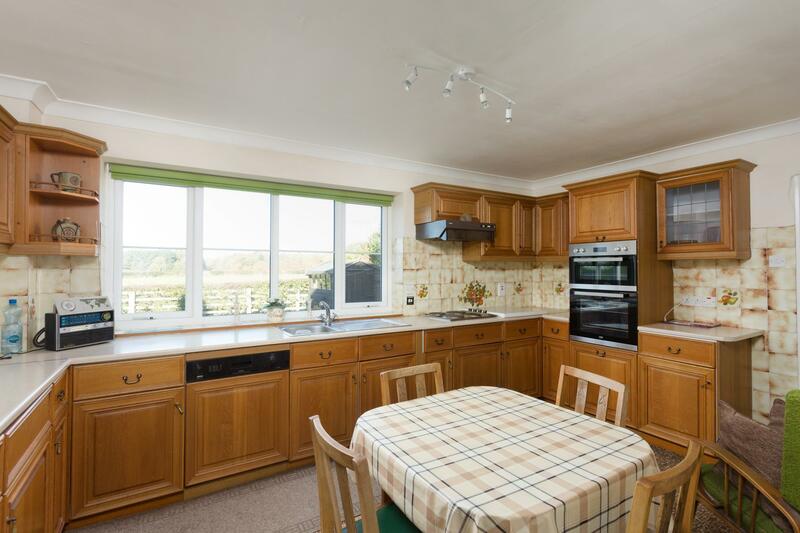 BREAKFAST KITCHEN with range of light oak cupboard and drawer, wall and floor fittings including glazed display cabinets, integral dishwasher, stainless-steel sink unit with side drainer and mixer tap beneath a UPVC double glazed windows overlooking landscaped gardens and adjoining farmland, tiled mid-range, inset 4-ring hob with extractor over, adjoining double oven and shelved pantry store. Adjoining UTILITY ROOM with rear outlook, stainless steel sink unit, side drainer, cupboard and drawer, space and plumbing for a washing machine, further space for a dryer, side UPVC access door, internal door to garage. 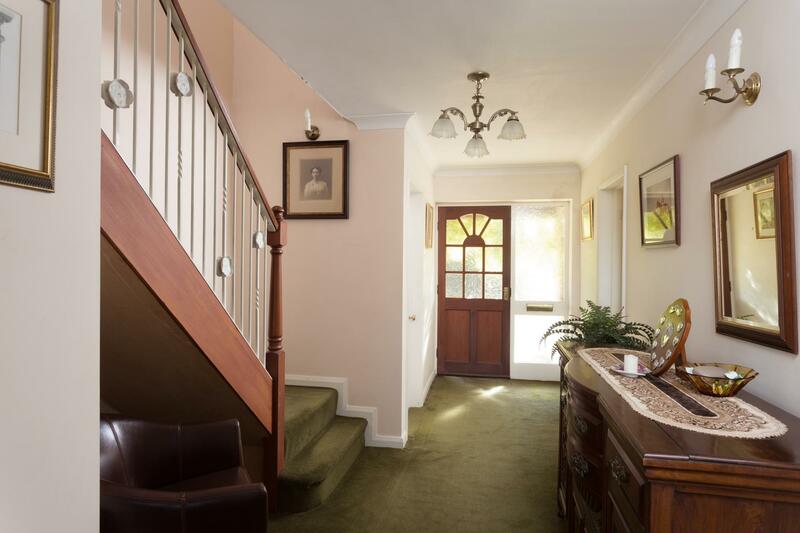 From the Reception Hall, stairs with a handrail rise to the GALLERIED FIRST FLOOR LANDING, with loft access (fold down ladder to an extensive roof void, suitable for further extension). Walk-in AIRING CUPBOARD with insulated hot water cylinder and immersion heater with linen shelves over. MASTER BEDROOM with a southerly aspect overlooking the established mature gardens, range of built-in wardrobes with hanging rail and shelf. 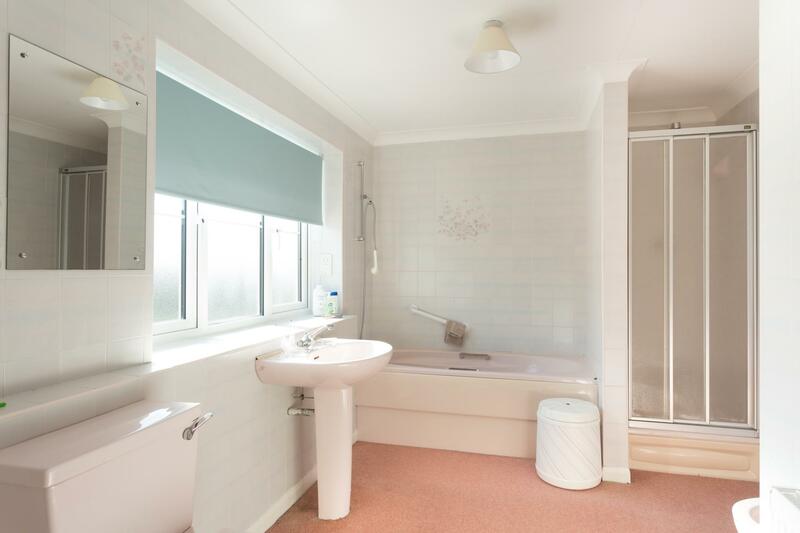 Fully tiled EN SUITE BATHROOM with coloured 5 piece suite comprising shaped and panelled bath with handheld mixer tap shower, pedestal wash hand basin, shower cubicle, bidet and low suite WC. 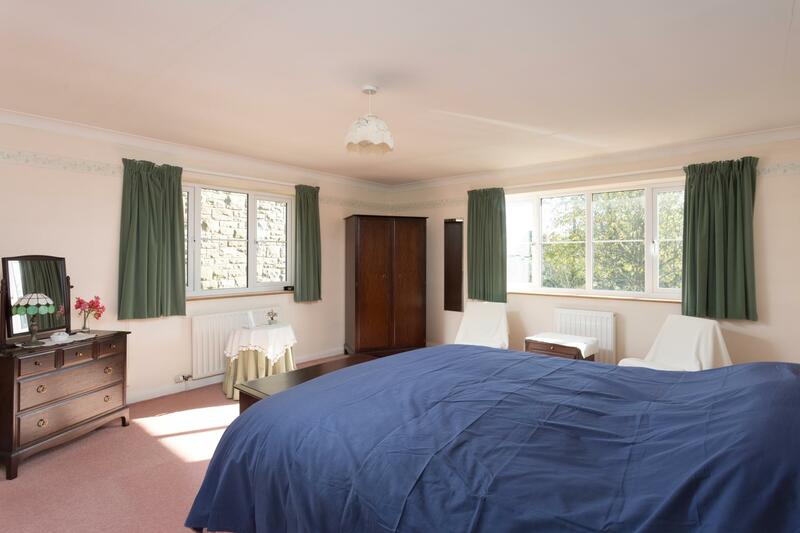 BEDROOM 2 With a southerly aspect overlooking mature lawned gardens, range of built-in wardrobes. 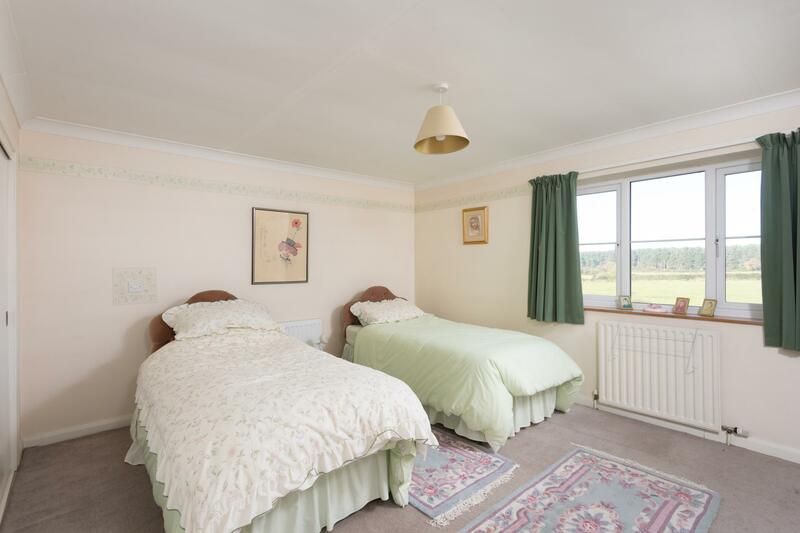 BEDROOM 3 With a range of built-in wardrobes and a panoramic outlook overlooking the landscaped gardens and adjoining farmland towards woodland. 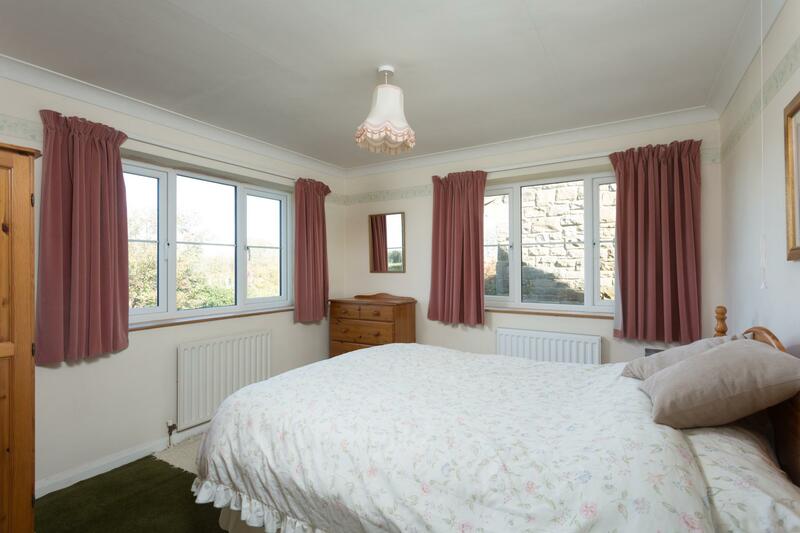 BEDROOM 4 With dual aspect with views over gardens, adjoining farmland and woodland, range of built-in wardrobes. FAMILY BATHROOM with fully tiled walls, shaped and panelled bath, pedestal wash hand basin and low suite WC. 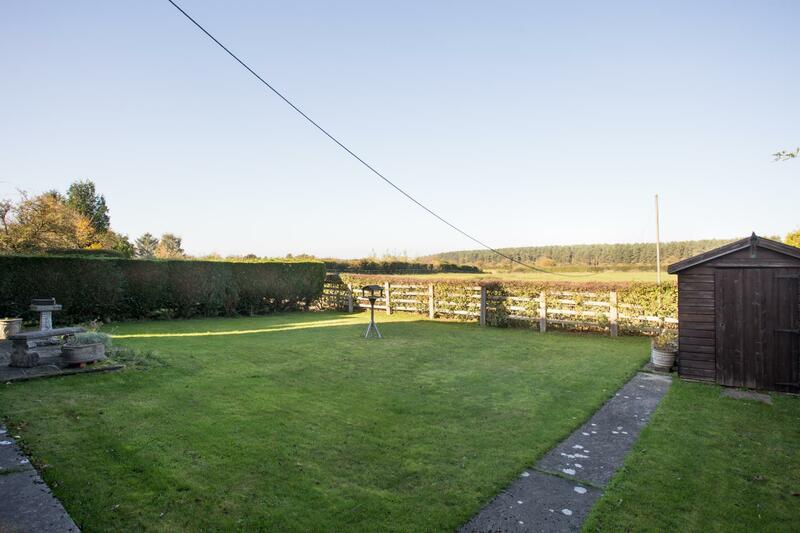 OUTSIDE Danwell House, enjoys a pleasant position within the rural village of Yearsley, approached through a five-bar gate opening onto a sweeping gravelled driveway, accessing the integral DOUBLE GARAGE (21'3 x 15'0), oil storage tank, personal access door to Utility Room. At the Front is a stone boundary wall, with lawn and established Cherry, rockery and lawns, paths lead around the side of the house to a fully enclosed rear garden, having stone flagged patio, 'L' shaped lawn and overlooks adjoining farmland towards woodland. 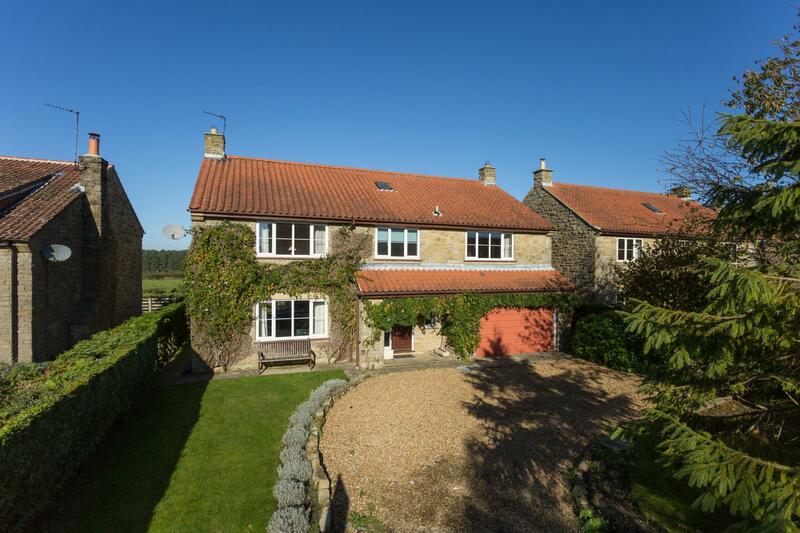 LOCATION Yearsley is a small rural hamlet with its' own church, in an area of outstanding natural beauty. There are primary and secondary schools available at Crayke and Easingwold, with a further range of amenities available at Ampleforth (3 miles), including a village store/post office and excellent sports facilities available at Ampleforth College, and a more extensive range of facilities available in Easingwold (6 miles). 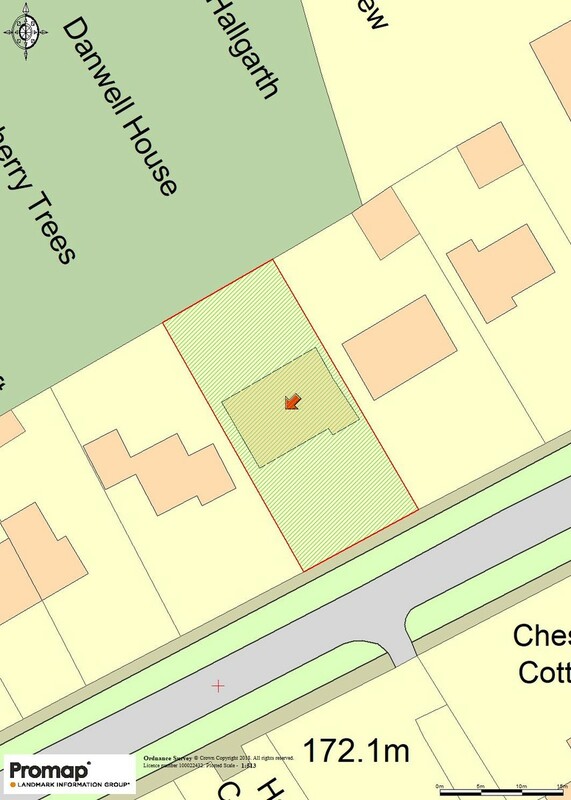 DIRECTIONS From Easingwold Market Place continue through Uppleby, turn left onto Oulston Road, continue to the crossroads and proceed straight across to Yearsley, whereupon Danwell House is positioned on the left-hand side, identified by the Williamsons 'For Sale' board.